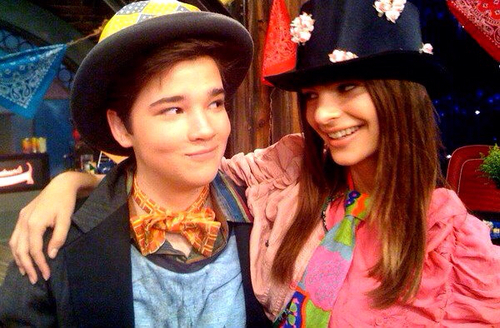 Did you know — model Emily Ratajkowski featured was on iCarly! Pretty cool, right? At 18-years-old she got her start on the show playing “Tasha,” Gibby’s girlfriend. She made her first appearance in season 3 episode 3 as Gibby’s date to a school dance, and she came back for season 3 episode 11 to join the cast at a “hobo” themed party. She’s not the only star who started their career with a small role: Lucy Hale was on two episodes of Wizards of Waverly Place. She played Justin Russo’s love interest. Selena Gomez was on three episodes of Hannah Montana before Wizards premiered, and Ashley Tisdale was on an episode of 7th Heaven before her Disney days. Ashley Benson was on one episode of Zoey 101 before she became a Pretty Little Liar. What cameo shocked you the most? Let us know in the comments or on Twitter at @WhatsTrending.